At TU Delft, we carry out research to design informed and inclusive participation processes for decision making processes. Especially when communities may be affected by adverse impacts, the design of the process is crucial to prevent societal tensions, project delays and high transactional and reputational costs. report back to authorities for permitting procedures. TU Delft offers a post-graduate course on Social Risk Management according to international best practice that is designed for professionals on project, management and policy level. Social factors can delay the energy transition and result in unnecessary expenses, when people do not accept a certain technology or are unwilling to change their behaviour. At TU Delft, we therefore advocate for an interdisciplinary approach where research on social and behavioural aspects of the energy transition goes along with the development of new technologies. Our research focuses on influence techniques – such as framing and nudging - in multi-actor settings. Currently, (semi)public actors often base their decisions on whether or not to invest in heating systems, and if so in what type of system, on Cost-Benefit Analysis (CBA). Basically, a CBA is an overview of all the positive effects (benefits) and negative effects (costs) of a project. The costs and benefits are quantified and valued in monetary terms, using the notion of peoples’ willingness to pay for these effects. However, it has been argued that current CBAs employ a too narrow approach to appropriately assess societal value of investments, in particular those pursuing long term collective benefits such as heating systems. At TU Delft, we are working on redesigning the CBA-methodology by developing the methodology of Participatory Value Evaluation (PVE). We investigate to which extent citizens’ ethical considerations as well as distributive and procedural justice can be included in PVE. In a PVE, citizens choose a portfolio of policies for a set of utilities, given one or more constraints on budget and/or sustainability. Given these individual choices, a behavioural model for an entire neighbourhood is built. Using this model, different policies can be evaluated concerning their economic impact. As opposed to conventional CBA, PVE is employed in a real-world setting that includes various utilities instead of asking people’s willingness to pay for separate interventions. This make the PVE approach a promising tool for quantitative economic policy assessment that contributes to citizens’ acceptance of decisions on sustainable energy policies. The Green and Convenience (Groen en Gemak) project investigates if residents can be encouraged to think ‘greener’ in and around their houses by reducing (psychological) barriers. 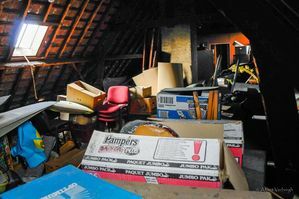 For example, by offering combined attic insulation and attic cleaning. In this project, TU Delft researchers with a background in environmental psychology work in a technical environment, while applying quantitative research methods. Energy Cooperatives are an important means to engage citizens in the energy transition. The European project REScoop Plus explores ways and analyses best practices to stimulate engagement of energy saving tools by energy cooperatives, and lower energy use by cooperative members. TU Delft provides expertise on the behavioural impact of the best practices on the cooperative members, and on behavioural changes due to the cooperative engagement with the energy cooperatives themselves.